How to book Taj Mahal Tickets online? How to book Taj Mahal Entry Ticket Online? 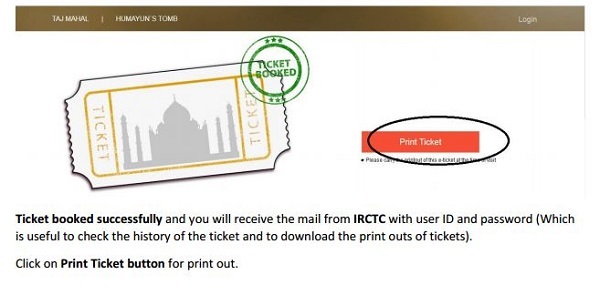 Now you don’t need to queue at a ticket counter to book an entry ticket to Taj Mahal. 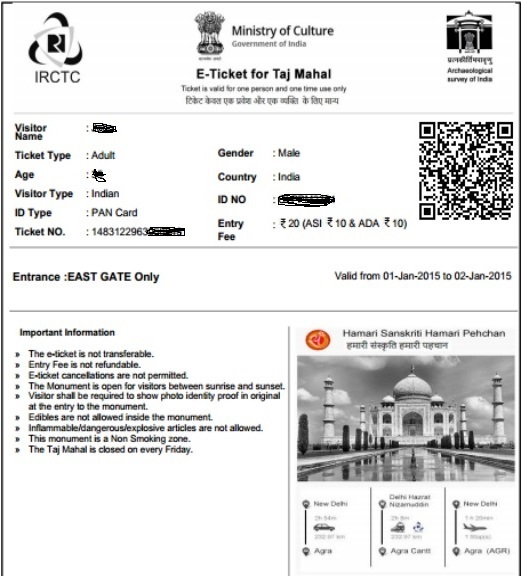 The online booking facility to book ticket for Taj Mahal and Humayun’s Tomb is available now. 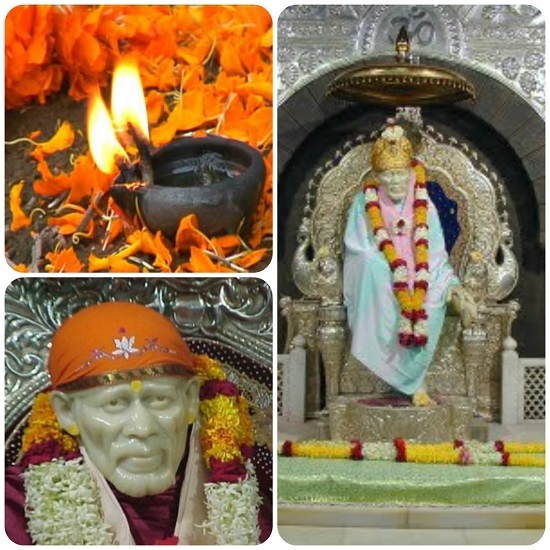 It is easy and convenient as you can book Taj Mahal tickets online from the comforts of your home or an Internet café from anywhere in the world. To book Taj Mahal tickets online, all you need to do is log on to asi.irctc.co.in. 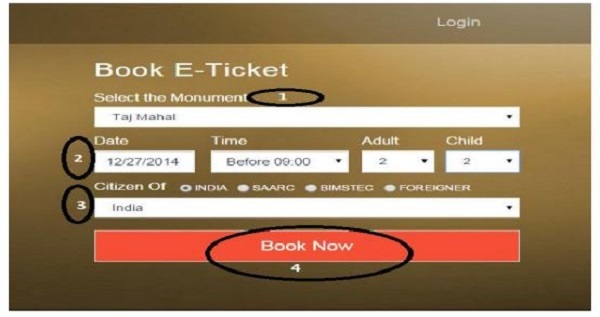 You can then book an e-ticket for Taj Mahal in four easy steps. 2. Select ‘Date’, Visiting Time, No. of Adults and No. of Children. And hurray, you are done! 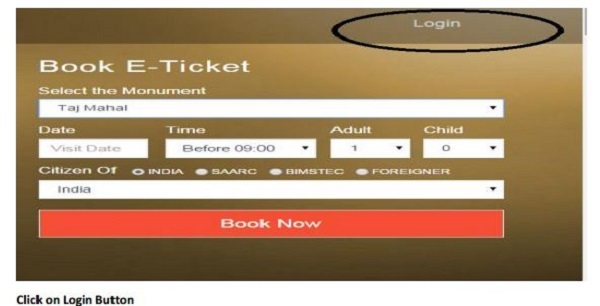 You can also login to get the history of the ticket booked. 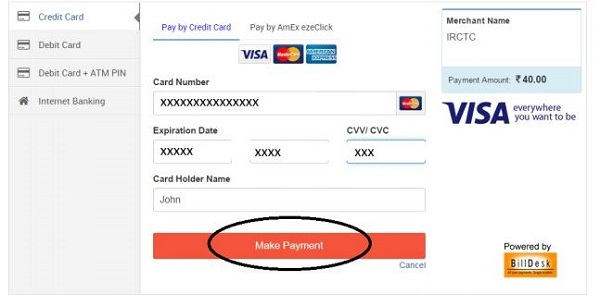 Enter login details (user id and password), you would have received in the e-mail provided while booking the ticket. You’ll see the details of the tickets booked. The e-ticket is not transferable. The Monument is open for visitors between sunrise and sunset. The Taj Mahal is closed on every Friday. For any suggestions/queries, contact at customer care no 011-39340000, 011-233440000.